…at the recent Archery Trade Association Show (ATA) in Columbus, Ohio! On the last day of the show, Ben stopped by the Bowtech booth to check out all the new archery products. 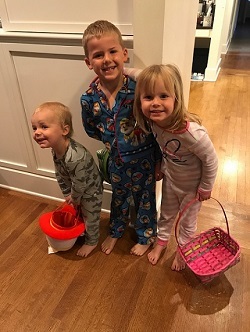 While he was there, he couldn’t resist challenging friends Nick Sampson and Lonnie Price to a “shoot off”. 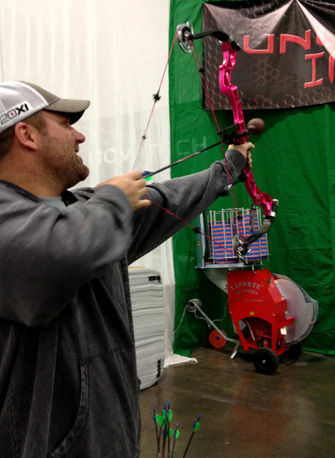 The Challenge: who could shoot the most flying targets with Bowtech’s hot pink bow that was on display in the booth!